You know the statistics. Around 80% of women are wearing bras of the wrong size. Are you one of them? If you are unsure how to find the right bra size, we can help you find out and discover your right size. Bras are as varied as women’s breasts are different. One size fits all is a quality never to be attributed to bras. As such, it pays to know the basics of bra sizing. For one, bra size is comprised of two measurements: your band size and your cup size. While you could always go to a professional to get measured, it’s easy to do it by yourself or with a friend. Wear the best-fitting, non-padded, underwire bra you own when taking measurements. Have another person take your measurements for you for better accuracy. Wrap a tape measure directly under your bust, keeping it parallel to the ground. Hold the tape measure snugly but not binding around your torso. Take note of the measurement in inches. If the measurement is an even number, add 4 inches. If the measurement is an odd number, add 5 inches. Hold tape measure around the fullest point of your breasts. Wrap the tape measure snugly without indenting breast tissue. Take note of the measurement in inches then subtract it from your band size. For example, if your band size is 36 and the measurement is 33, subtract the latter from the former (36 - 33 = 3). The result determines your cup size. Every inch of difference corresponds to an increase in cup size from A onwards. A difference of less than an inch constitutes an AA cup. From the previous example, the difference between your band size and the second measurement is 3 inches. This means that your cup size is C.
Check the chart below for your cup size and its corresponding size in the brands you would like to purchase. Once you determine your cup size, combine it with your band size to get your bra size. In the previous example, the results of both band and cup measurements yielded 36 and C respectively. Given these, your bra size is 36C. Now that you know your right size, ordering your bras should be easy. However, in case the size you need is out of stock and you need to order immediately, there are alternative sizes that may work for you. We call this crossover bra sizing. How does this work? A bra’s band size and cup size are not created independently of each other - cup sizes are dependent on the band size they’re paired with. For example, the volume held by a C-cup attached to a size 34 band is not the same as the volume held by a C-cup attached to a size 36 band. This is because band sizes remain constant, but cup sizes expand as they’re paired with larger band sizes. Check the chart below to find your alternative bra size. In this chart, all the bra sizes in the same column carry the same volume. 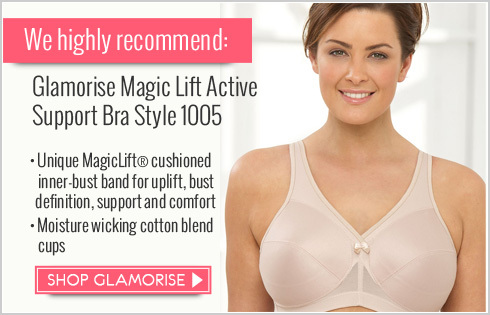 The bigger band size would spread the volume out over the wearer’s frame, giving you less projection but greater width, while the smaller band size rests more compactly on the on your frame – giving you more cleavage and more lift. We do not recommend crossing over more than one cup size in either direction, as it may cause your bra size to be disproportionate to your breasts and frame. For strapless bras, the most accurate fit is best instead of a crossover size to ensure a stay-put fit. 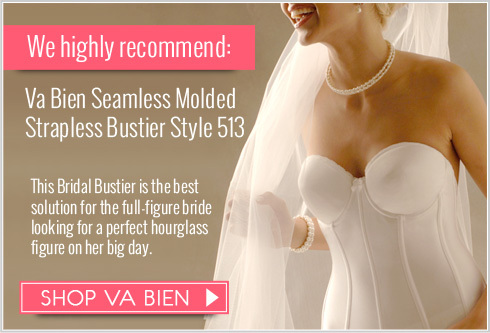 For adhesive bras without bands, get your cup size measurement for purchasing. Our sizing charts are meant to guide you in determining your size. However, they cannot always guarantee the perfect bra fit. We strongly recommend that you take your measurements before you purchase any product, and to refer to the sizing chart of the brand of your choice.